Chol Soo Lee, a Korean American whose wrongful conviction in a 1973 San Francisco murder case galvanized a historic pan-Asian American movement to win his freedom, died Tuesday at age 62. He passed away at a San Francisco hospital, after suffering medical complications stemming from a digestive system problem that had him hospitalized for two weeks, according to friends. Lee, an immigrant from South Korea who came to the U.S. around middle-school age, was arrested by San Francisco police in June 1973 for the murder of Yip Yee Tak, a local Chinatown gang leader, who was shot dead in broad daylight. Chol Soo Lee and K.W. 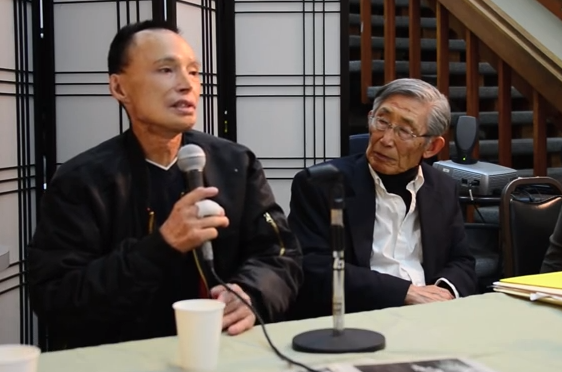 Lee spoke last year at the National Japanese American Historical Society in San Francisco. Though Lee was convicted of first-degree murder and sentenced to life in prison a year later, he maintained his innocence. Thanks to the persistence of a group of Asian American supporters who rallied to his side, a Korean American journalist by the name of K.W. Lee (no relation to Chol Soo Lee) began investigating the case in 1977. K.W. 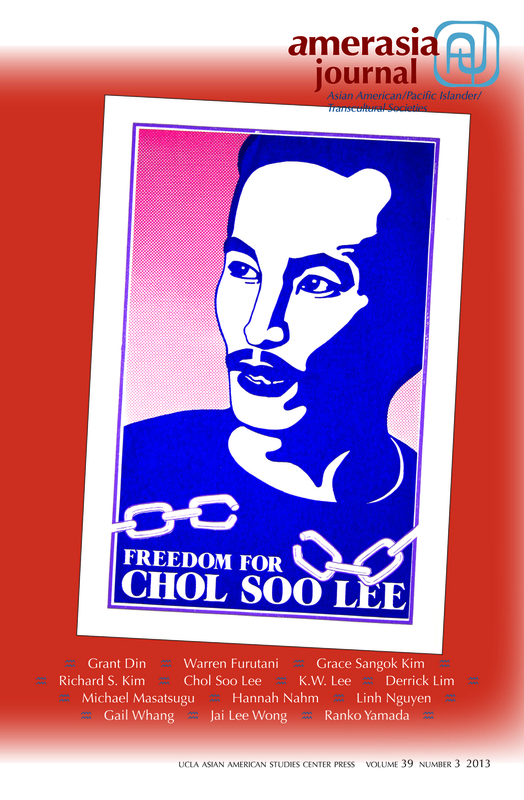 Lee, then a staff writer for The Sacramento Union, would write more than 100 articles that raised troubling questions about Chol Soo Lee’s conviction. Chol Soo was much shorter than eyewitness descriptions of the gunman and had a mustache that not a single witness mentioned to police. Notably, Lee was often identified as Chinese during his trial. There was also a spate of Chinatown gang violence during this period, and political pressure on local authorities to make an arrest in the Yip Yee Tak murder. 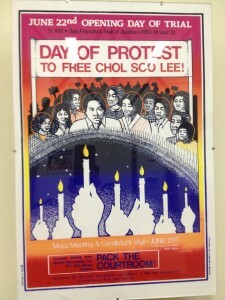 The series of news articles would help spark the Free Chol Soo Lee Movement, which was one of the earliest pan-Asian American movements, bringing together a diverse group of supporters that included third-generation Asian American college students and community activists, as well as Korean immigrant grandmothers. While incarcerated, Chol Soo Lee got into a prison yard brawl with a white supremacist gang member, whom Lee killed in self-defense. The incident led to a conviction of murder with special circumstance and the death penalty. A poster from the Free Chol Soo Lee movement. Lee was on Death Row as his supporters were raising money, holding demonstrations and hiring new attorneys to fight for his freedom. On Sept. 3, 1982, a San Francisco jury acquitted Lee of the Yip Yee Tak murder. And by March of 1983, he was a free man, after a California appeals court nullified his death sentence in the jailhouse killing. Over the years, following his release, it was no secret that Lee had a difficult time adjusting to life after 10 years in prison and had some brushes with the law. Lee himself had said part of him remained in prison. Hollywood made a 1989 film, “True Believer,” starring James Woods and Robert Downey, Jr., based on the Lee case, but the movie left out the key role of the Asian American community. Lee, however, never forgot. Just a year ago, on Dec. 7, 2013, Chol Soo Lee joined several of his most ardent supporters — including K.W. Lee and community activists Peggy Saika, Grace Kim, Jai Lee Wong and Warren Furutani — at Kardia United Methodist Church in West Los Angeles for an event that commemorated the 30th anniversary of his release from Death Row. 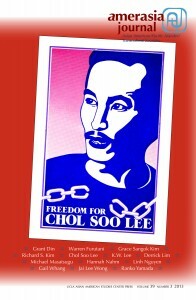 A 2013 edition of Amerasia Journal marked the 30th anniversary of Chol Soo Lee’s release from Death Row. Chol Soo Lee talked about the continuing need to speak out for justice and expressed his deep gratitude to his supporters, many of whom were inspired by the case to seek careers that worked toward social justice, as attorneys, activists and political leaders. Before his death, he wrote his memoir, “Freedom Without Justice,” which he worked on with Asian American studies scholar Richard S. Kim of UC Davis. It is not yet published. A memorial service will be held on Tuesday, Dec. 9, at 11 a.m. at the Yeo Lai Sah Buddhist Monastery, 200 San Bruno Ave. W., San Bruno (in San Mateo County, just south of San Francisco). To read K.W. Lee’s reflections on the Chol Soo Lee case from a January 2013 column in Nichi Bei Weekly, go online to www.nichibei.org/2013/01/parting-shots-names-of-coalition-builders-that-glow-in-ou-memory/.